I decided to try out the Udon Soup with Pork Bones Meal Kit from Milk and Eggs, which included all the ingredients I needed. There was no specific indication on exactly how much of each ingredient to use, but I was thankful there were instructions at least. 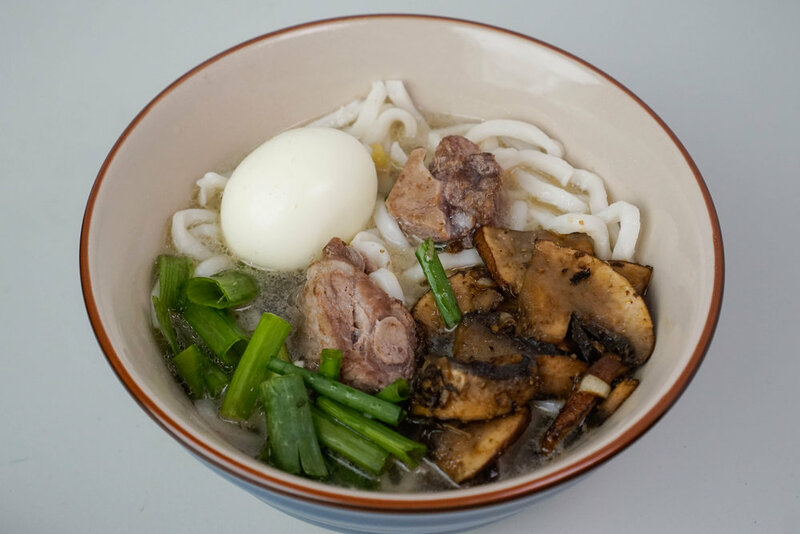 Here is my adapted recipe on how to make this; the original page is here: https://milkandeggs.com/blogs/food-health-and-eating/2-for-12-udon-soup. Time: 25 minutes. Serves 2. 1. Sear the pork bones in a pot to get some flavor and smokiness. Then add 3-4 cups of water (you may use stock instead for extra flavor). Place the two of the chopped green onions and minced ginger in the pot with the pork bones and let it simmer. 2. In the meantime, sautee the mushrooms with olive oil, salt, pepper, garlic powder, paprika, and chili flakes. Grill for about 10 minutes and add 1 tsp. of soy sauce. Set aside. 3. Make your soft boiled eggs by boiling water in a separate pot. Boil the eggs in the water for 6 minutes and then place the eggs in cold water or an ice bath. Peel gently when they are cool enough. 4. Start to assemble the udon. 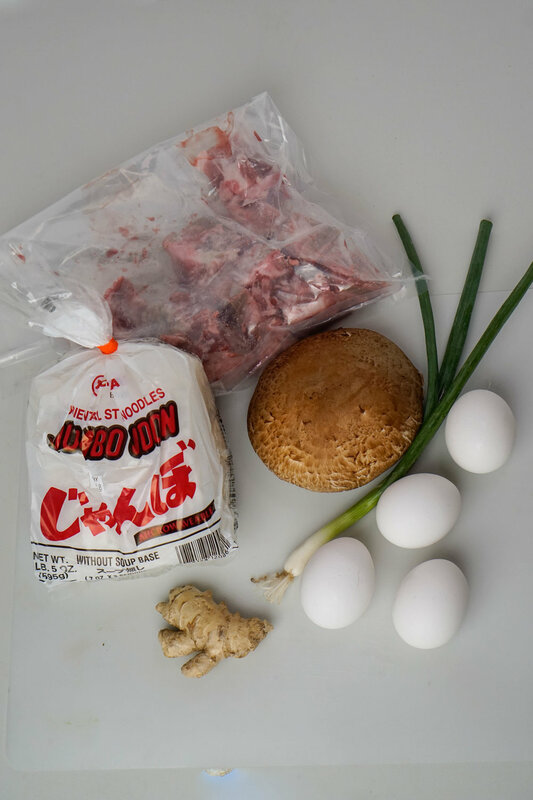 Place the broth and bones, then udon, then the grilled mushrooms, and then the soft boiled egg and the last third of the chopped onions in the bowls and enjoy!